The time, costs, and effort that managers put into recruiting talented employees can require a full time position. In order to make this effort effective, managers need to understand industry issues with recruiting and retention. In understanding the causes and problems associated with recruiting and retaining employees, the member can then develop strategies designed to decrease the costs incurred by so many IT businesses. By actively practicing the strategies illustrated in this booklet, the manager can successful decrease turnover rate to below their industry standard. In essence, they will be able to increase the profit margin by maintaining a consistent workforce. “to increase or maintain the number of . . . [or] to secure the services of” (Merriam-Webster Online, 2003). The goal of recruiting in the IT field is to secure the services of an employee. There is an appropriate value proposition of a job that enables a person to be recruited. The value proposition of a job position is categorized as Five W's – 'Who', 'What', 'Where', 'When' and 'Why.' The most challenging part of the equation is the 'Why'. The 'Who' describes who you are as a company, including the types of products or services that you sell, who your clients are, and your positioning in the market. The 'What' describes the job itself – normally starting with an encompassing scope statement describing the objective of the job, followed by a list of tasks that breaks down the objective. It also indicates the structure of the organization, including the level of the position and reporting relationships. The background requirements are also contained in the 'What', giving the would-be applicant the information they need to decide whether they possess the basic qualifications. The 'Where' and 'When' are the easiest. Where the job is located may be fixed, but if flexible working arrangements are a possibility, this is a strong selling point that needs to be presented. If the location of work is particularly appealing, here is your chance to talk it up. In terms of 'When', more often than not the timing is now, or even better, yesterday! The 'Why' is the most complex and the least obvious part of the value proposition, which this paper will address. According to Merriam-Webster, retention is the process of keeping “in one's pay or service.” (Merriam-Webster Online, 2003). Retention of employees is the art of maintaining an economically feasible alignment between an employer’s goals and objectives with that of their employees. The issue is that recruiting and retention is the challenge of many managers. The costs of recruiting and retention, both tangible and intangible, the processes utilized within corporations and the reasons why employees leave can cause dismay for the uneducated manager. These are the issues that can be overcome by managers being savvy in these issues of recruiting and retention. It will allow them to successfully add to their company’s bottom line. Any recruiting and retention strategies must consider the dynamics of the IT environment. What makes the IT sector different is its highly cyclical nature. With high demand for technology professionals, it is critical that employers continue to recruit, retain, and re-train competent staff to support IT operations. Recruiting strategies need to be created. There is a continuing explosion of technological change that forces existing staff to continually upgrade their technical skills. Additionally, as the demand for information technology professionals continues to exceed the supply, employers will face even greater retention staffing challenges. Particularly during economic downturns, employers need to have the facility to deal with large number of inquiries, as well as, storing and sorting various candidates based on their skill sets. Here are some specific challenges for those firms who need to be more aggressive in leveraging strategies in their recruiting and retention efforts. Decreasing the time to hire. Time moves fast in today's competitive world, and companies need to be able to act quickly if they are to snag valuable employees and put them to best use. Thanks to Internet recruiting and applicant-tracking systems, the time between the start of a job search and acceptance of an offer is shrinking. Every company should have a job/career link from its Web page in today's market. Prescreening of candidates online and Web-based skills assessments are increasingly common. Many companies need to train their recruiters in sales and marketing techniques to improve their ability to "sell" prospective employees on working for the company. Moreover, job seekers increasingly look for the personal touch and appreciate the opportunities to see prospective employers "up close and personal”. Today, recruiters who wait until a position opens up to pursue prospective employees have started too late. Often, potential employees already know what company they want to work for before they leave school. Companies need to be forward-looking and identify talent early and to stay in touch with promising candidates. Applying Principles of Supply-chain Management. Companies can benefit from viewing recruiting as a form of supply-chain management. Talent is the scarce resource especially in the IT field that recruiters must ration and manage; alternative sources of "supply" are critical to ensure competitiveness. A good cultural fit between an employee and a company is as important as good skills fit. Companies need to expose job candidates to their workplaces and potential co-workers. Companies need to find the best way to do this through the interview process. Finding or Creating New Sources of Talent. Companies need to rethink the costs of hiring, devising policies to recruit and retain employees, and even building small facilities where they find enclaves of talent around the globe. Loyalty is again a fashionable attribute for employees, given the high cost of turnover and customers' desire for continuity. As a result, employers need to supplement financial incentives by fostering employees' more personal attachments to their companies. In our current work environment, managers need to stay ahead of the game and recognize the importance of running an efficient, high-performance organization. Building such an organization depends on choosing candidates who are best-suited to your specific needs and retaining those employees. It is the manager’s job to facilitate this organizational goal. To reach the talent necessary, managers will need to aggressively identify and implement innovative, cost-effective recruiting strategies that are tailored to each group. In addition, hiring managers will need to learn more about what, in particular, will attract the talent needed. Retention of this talent is an ongoing process that also must be implemented. There are considerable costs, both direct and indirect, that can be linked to the loss of talented employees. Additionally, on average, the IT field has one of the highest recruitment costs ( Goth & Blank, 1999). Depending on job level, industry, geography, etc., estimates of the cost of turnover vary between 50% and 150% of the departing employee’s annual salary (ISR, n. d.). These costs include such items as administrative time, employment agency fees, training, advertising, lost time, lower morale and productivity from remaining workers, etc. According to the U.S. Department of Labour, it costs a company one-third of the new hires annual salary to replace an employee (Michaud, 2001). For an employee earning a modest $35,000, this would be approximately $11,670. There are many intangible costs that also need to be considered. Costs is only one aspect. Over 90% of companies have not documented their recruiting processes. ( DoubleStar, Inc., 2002). This allows for inefficiencies to occur within an organization. These are just a few of the tangible reasons for managers to develop recruiting and retention strategies. Next, examining some of the background and root causes of these statistics will enlighten the manager even more. The background to employee retention has its origin in the days when employees were loyal to a single company for 30 years or more. Employees would find a company that offered what they were looking for and stay there in many cases until they retired. This trend towards loyalty to a single company has diminished drastically in recent years and morphed into a new trend of employees staying on a job in many cases for only one or two years. The unfortunate fact is that many employees are not happy no matter what the company does. The trend of moving jobs has been easier in recent years due to the surplus of jobs, especially in the IT industry where one in every ten jobs remains empty (Ware, 2001). As IT and other industries tighten in the areas of available jobs, the employee loyalty toward companies may begin to increase again. Poor recruiting and selection (Buckingham & Coffman, 1999). Has the company determined the ideal employee profile for positions experiencing high turnover? Are demographic information, employee backgrounds, skills and experience used to develop a successful profile for each job? In job families with large numbers of incumbents, it is especially easy to correlate different employee profiles to low and high turnover levels. How effective are screening processes at selecting people with the right employee profiles? What questions are asked, and are facts checked, to see if the candidates have the skills and personality traits that will keep them with your company? Does the selection process have a robust sourcing strategy? Are recruiters looking in the right places for employees (including non-traditional sources), using the right media to reach them, and utilizing the right messages to sell the job to candidates? Sometimes, turnover is caused because companies are not able to fill enough jobs, which results in a greater work burden on the people already employed, which leads to more turnover – an ugly downward spiral (Rich, 2002). How effective is initial orientation and initial training? Poor recruiting, selection and initial orientation often lead to turnover soon after employees are hired. For example, a company operations cent er operation had attrition rates of 40 percent during the first week of employment and 40 percent during the first month. The high turnover during the first month on the job pointed to selection and recruiting problems. One problem was that the screening process was not based on a profile of the skills and experiences that would make a successful employee. In addition, recruiters oversold the job to candidates who left soon after the unrealistic job expectations failed to materialize. Finally, the initial classroom training was minimal and covered only basic policies and procedures, as opposed to how to handle prospective customers on the phone. High levels of involuntary turnover also point to poor selection and recruiting because managers are correcting the mistakes made during the recruiting process. While some level of involuntary turnover is needed to cull out poor performers and adjust staff levels to meet workloads, a better recruiting process could have weeded out many of these poor performers (Rich, 2002). What is the Employee Value Proposition? An extensive body of research, including Sibson’s annual Rewards of Work survey of nearly 2,500 U.S. and Canadian employees, shows that the value an employee attaches to working with an organization is a function of this question. If a company ignores the answer to the factors that employee’s value, it will lose its most talented people (Rich, 2002). Are employees looking for things that the company cannot provide? In some situations the reason for employee turnover is the fact that employees are looking for things that the company simply cannot offer them. Cheryl Breetwor points out that she ran a company for 16 years that had trouble recruiting or retaining some employees because they were interested in a company with the promise of an initial public offering (Issues in Ethics, 2001). This is a situation involving something that the company cannot easily change for the purposes of recruiting or retaining employees. Does management understand the drivers that cause employees to leave the company? A recent survey conducted by ISR of over 75,000 employees and 22 companies from variety of industries analysed employees reasoning for "intent to leave”. They utilized Key Driver Analysis using factor analysis and linear regression to determine which survey items served as the best predictors of retention outcomes. They discovered that there were 58 drivers of employee's intent to leave that broke down into ten specific areas as depicted in Figure 1 (ISR, n. d.). Key Drivers for " Intent To Leave"
When factoring in the relative importance of each key driver in predicting intent to leave, prioritising the drivers in terms of relative ability to explained variances in the employee's responses to the intent to leave. A relative ordering of drivers in importance was developed as depicted in Figure 2 (ISR, n. d.). Figure 2 (ISR, n. d.). Easily recognized when examining the above table is the fact that Individual Development, or the lack thereof, is the most important key driver of turnover. Career Advancement and Recognition & Rewards came in a fairly distant second and third. We will examine some specific tactics in these areas that managers may use to ensure that they do not become victims to employee turnover in the section entitled Retention Strategies. To date, 8 people have rated this article. The average rating is 3.50 - Add your rating. Just select a rating and click the button. No other information required. Project Perfect is a project management software consulting and training organisation based in Sydney Australia. 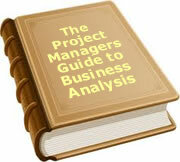 Their focus is to provide creative yet pragmatic solutions to Project Management issues. Buckingham, M. and Coffman, C. (1999). First, break all the rules. New York: Simon & Schuster.